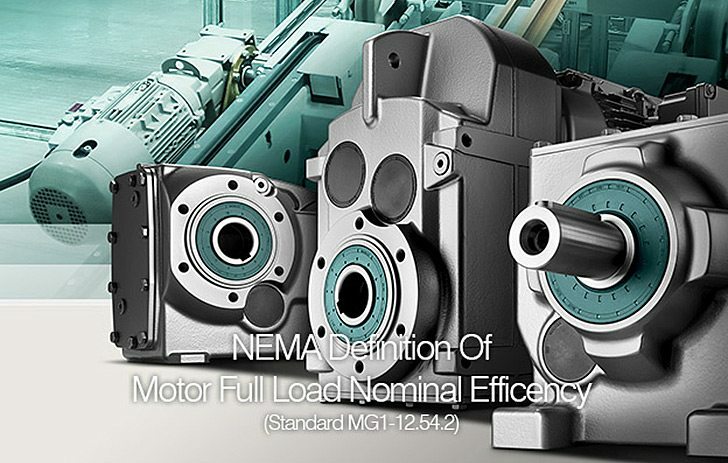 NEMA standard MG1-12.54.2 provides instructions for establishing the value of efficiency. 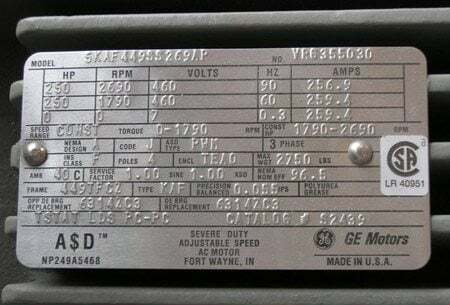 The standard states that the nominal efficiency shown on the motor nameplate shall not be greater than the average efficiency of a large population of motors of the same design. Also, the full load efficiency, when operating at rated voltage and frequency, will not be less than the minimum value associated with the nominal value. Care should be taken in comparing efficiencies from one motor manufacturer to another. It is difficult to compare efficiencies based on published, quoted or test data, due to the fact that there is no single standard method which is used throughout the industry. The most common referred to standards are IEEE 112 (U.S.), IEC (International), JEC-27 (Japanese), BS-269 (British) and ANSI C50.20 (same as IEEE 112). IEEE 112 is used more than any of the others in the United States, while allowing for a variety of test methods to be used. The preferred procedure is IEEE method B, where the motor is operated at full load, and the power is directly measured. Generally, larger motors will be more efficient than smaller motors. Today’s premium efficiency 3-phase motors have efficiencies ranging from 86.5% at 1 hp to 95.8% at 300 hp. The efficiency value that appears on the nameplate is the “nominal full-load efficiency” as determined using a very accurate dynamometer and a procedure described by IEEE Standard 112, Method B. The nominal value is what the average would be if a substantial number of identical motors were tested and the averages of the batch were determined. Some motors might have a higher value and others might be lower, but the average of all units tested is shown as the nominal nameplate value. Thus, essentially the rating Nom Eff. 92.1 means this is an average efficiency of this motor model, but actual efficiency may vary. The efficiency is reduced by any form of heat, including friction, stator winding loss, rotor loss, core loss (hysteresis and eddy current), etc. The actual motor efficiency is guaranteed to be within a band of this nominal efficiency by the manufacturer. The efficiency band varies from manufacturer to manufacturer. The maximum allowable “band” is 20% set by NEMA. This is a large range; therefore pay close attention to the manufacturer’s actual minimum guarantee!